We have been keeping a proverbial “ear to the ground” to bring you a list of the top ten gem trends to keep an eye out for while walking the 2017 Tucson gem shows. 1. 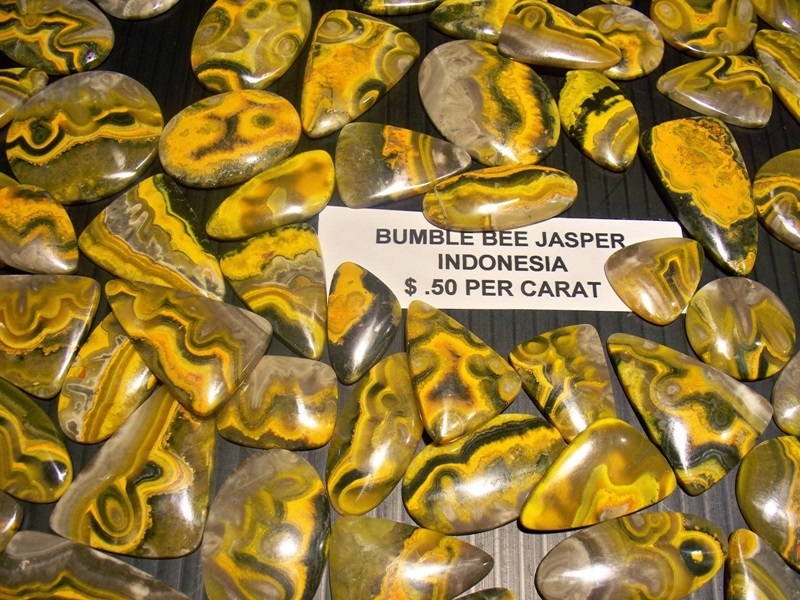 Bumble Bee Jasper - This should be on every top ten list. Aside from it’s amazing sunshine yellow color this one is in limited supply making it all the more in demand. 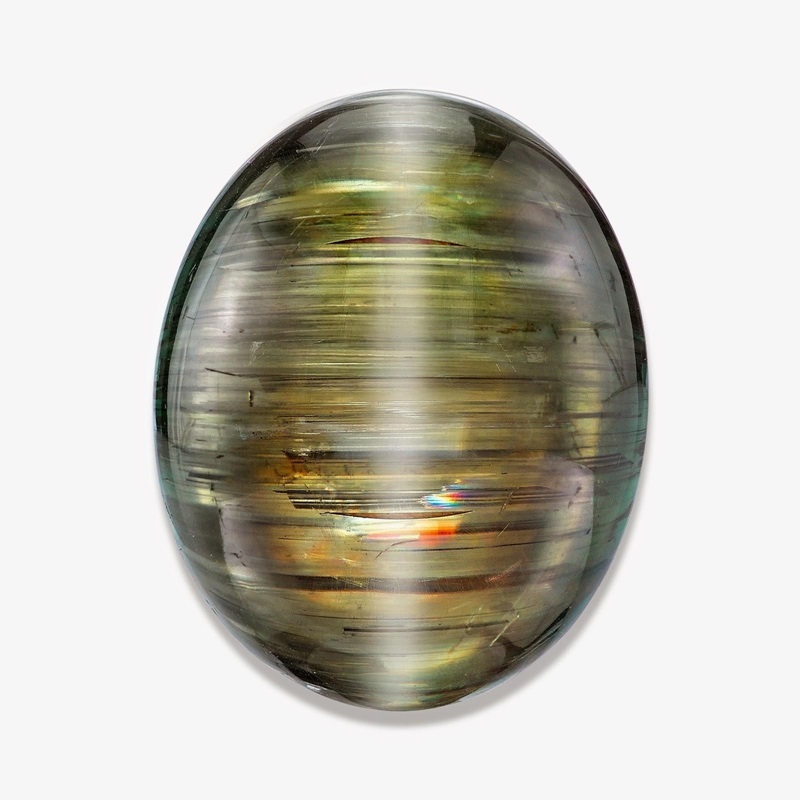 Originally found in sulphur deposits in volcanic calderas in West Java, this gem takes a brave miner and one that doesn’t react to stinky smells (you know that rotten egg smell) as it is a sulphur-bearing mineral. 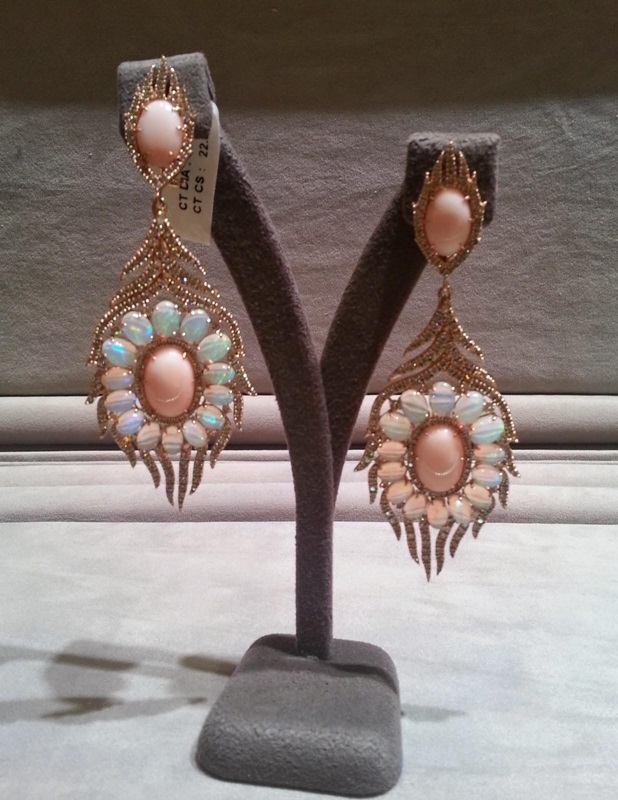 This one is the darling of everyone from artisan jewelers to the fine jewelry set — Colette Fine Jewelry offered the pictured earrings in the AGTA Spectrum Awards. 2. Fossil Coral - The delicate floral pattern on these cabs have captured the hearts and imaginations of the entire industry, making it our number two pick. Imagine a summer or cruise collection with these little flowers or an eveningwear collection in the black and white in blackened metals. These gemstones are formed from ancient corals and should not be mistaken for protected and endangered coral from the modern oceans of today. 3. Gemmy Cabs - There is nothing in today’s world of fine jewelry that speaks luxury more than a rich, juicy cab of gem material ... think of the truly dramatic, colored, upper-crust gems — pink tourmaline, Paraiba tourmaline, emerald, rhodalite garnet, or aquamarine. They can all be found at the Tucson shows, from the top-notch designers from Goshwara to this year’s AGTA Spectrum Awards™ “Best of Show” winner from Leon Mege, Inc. — a platinum ring featuring a 4.71 ct. Paraiba tourmaline cabochon accented with French-cut diamonds — to this glorious spring stunner from Spark Creations at the 2014 LUXURY show in Las Vegas. 4. Opal – Glowing all the colors of the rainbow, opal in any form has been hot for several seasons and it is showing no signs of slowing down. 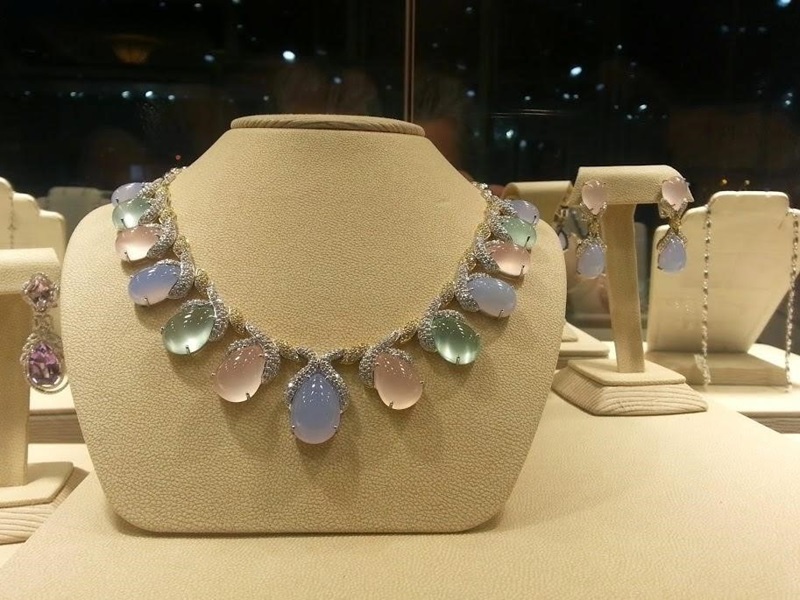 From the ribbons of opal in the Boulder opal to the famous Yowah and Koroit Nut varieties to the industry favorite Ethiopian opal, there has been an opal piece in the winning categories of almost every award competition in the last few years and on most red carpets. 5. Pearls - Pearls are hot-hot-hot! But I’m not talking your mother’s pearls. 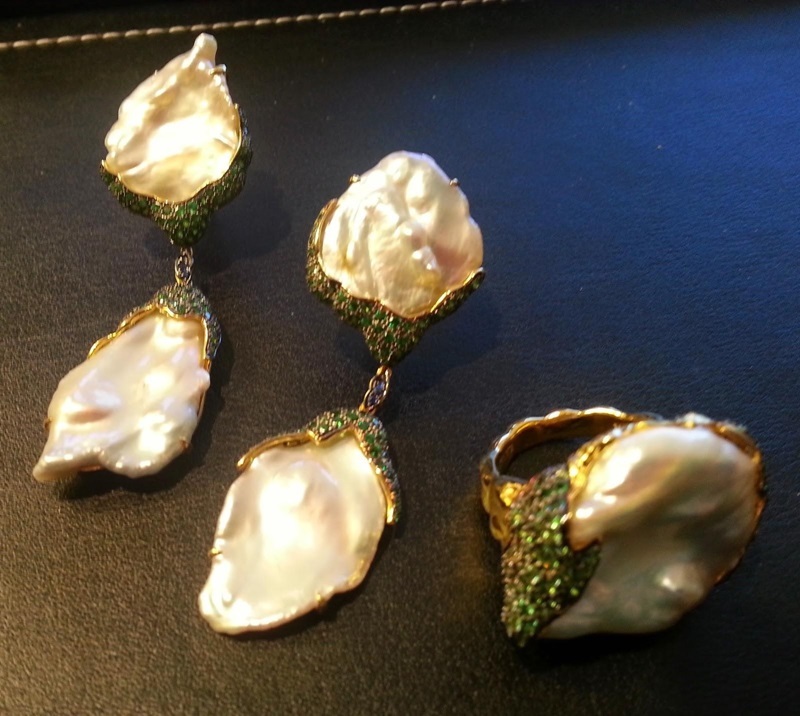 What you want to look for are pearls that are anything but round — faceted, carved freshwater, Tahitian, South Seas. Designers are setting gems right into the pearl, and carved pearls are the hottest looks in the menswear arena ... like the simple, clean Tahitian pearl pendants of Atelier Leseine’s new Moana Mana line. 6. Slices of Massive Gems - The “massive” form of a gem material is material that is not a crystal, a piece of a mineral with no particular shape that is filled with inclusions or even part of the matrix. 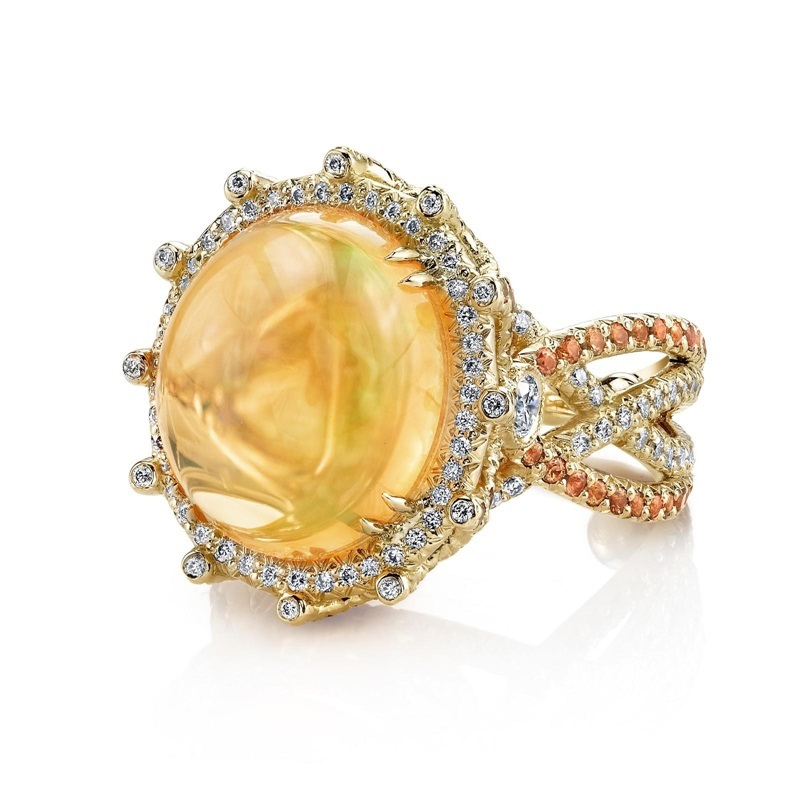 You have seen it used prevalently in designer fine jewelry in Yael Designs’ rose-cut emeralds from their Serendipity collection or the satin-soft glow of Sophia By Design’s sapphire and ruby line. 7. Doublets - A doublet is created by attaching two layers of material together. Opal for instance is often found in thin translucent layers which, although beautiful, are too fragile to be used in jewelry. By glueing a layer like this to a more durable mineral such a onyx, the gem is not only made stronger, but colors in the translucent opal are enhanced by the dark backing. 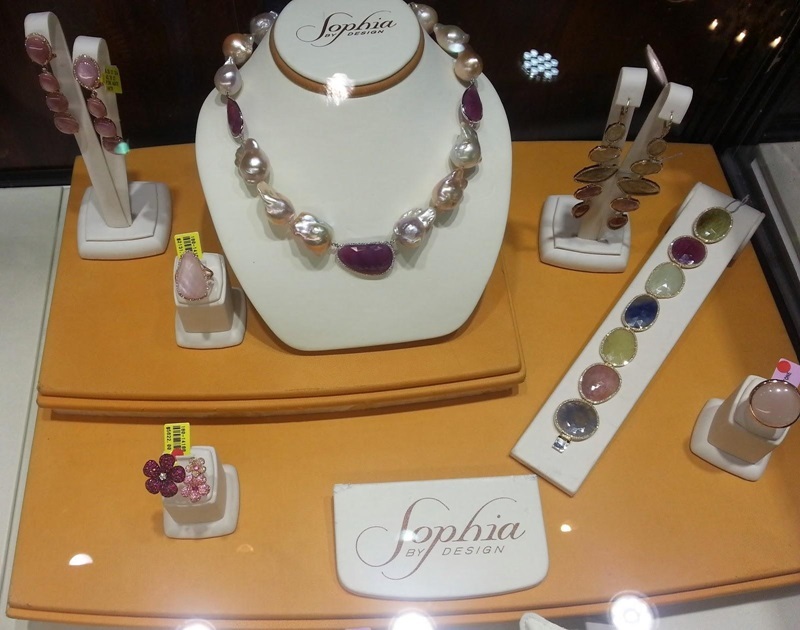 Similarly, thin layers of opaque gemstones can be attached to a clear top layer to create an interesting new look. You have seen these in collections from major brands like Tacori and Red Carpet Jewelers, most often clear or rutilated quartz over turquoise or black onyx. 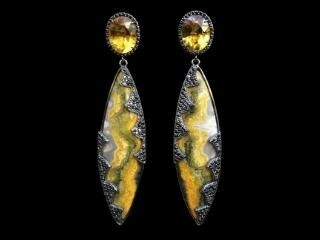 These create a whole new dimension and a great way to use the popular included quartz. 8. 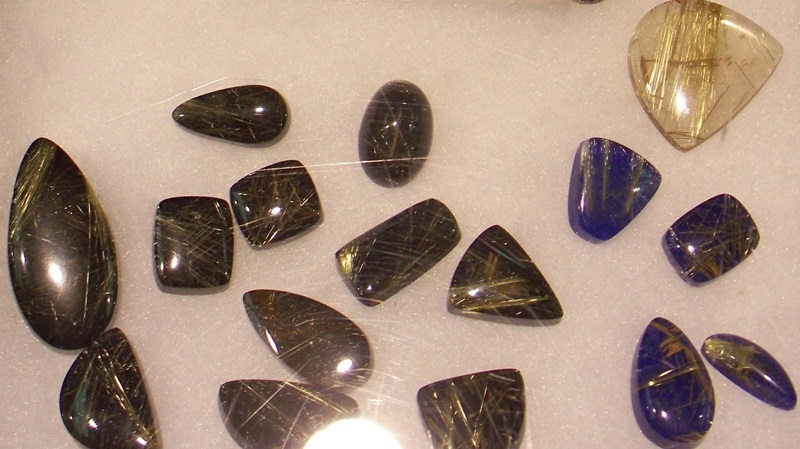 Phenomena Gems - These are gems that display an odd phenomenon or asterism — as in the case with star sapphire or gold sheen obsidian. Look for gems with a cat’s eye effect or even a color change, as in the stunning new Orissa Alexandrite or the color shift of Ammolite. 9. 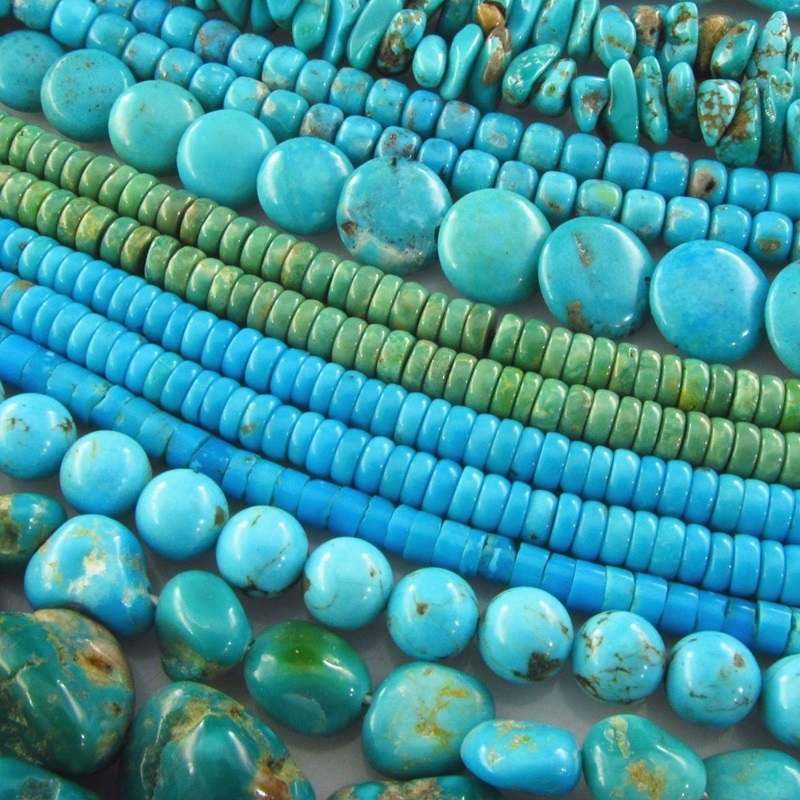 Turquoise - A perennial favorite, turquoise is the summer go-to gem! 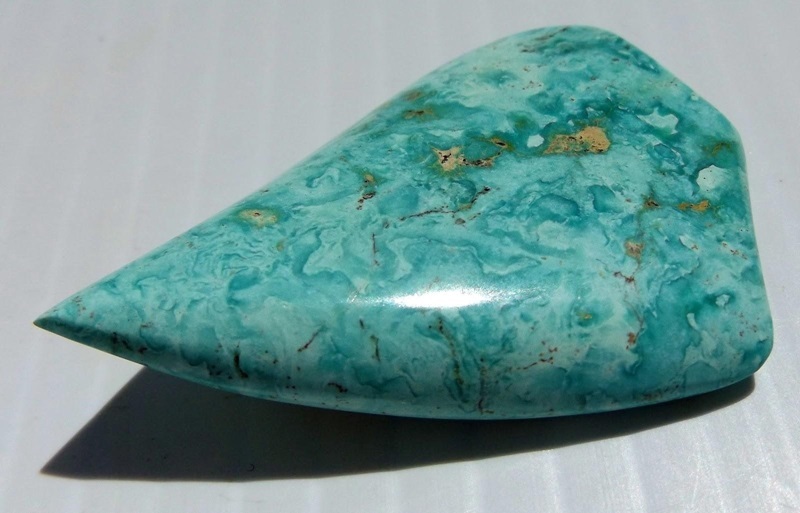 With so many of the traditional turquoise mines closing, it is becoming rarer and harder to come by these beauties, but they are available if you look hard enough. 10. 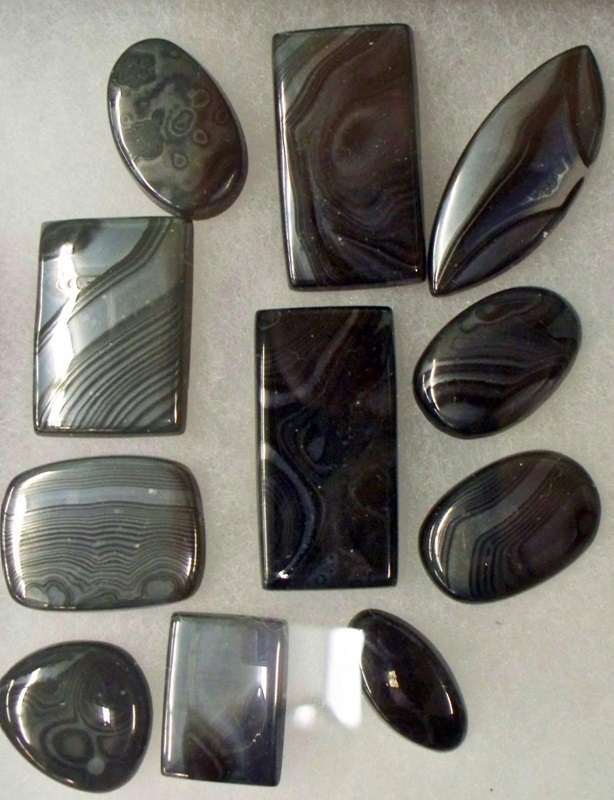 Psilomelane - Erroneously, and uncommonly known as black hematite, Psilomelane is a group name for black manganese oxide that you will be seeing more of as the season moves forward. Truly a black-tie gem, this cabochon with the hard-to-pronounce name (sahy-lóm-uh-leyn) displays a tonal brocade tapestry in shimmering black on frosted charcoal. Robyn Hawk, AKA @aflyonthewall, is more recognizable by her green "fly" across most social platforms — Robyn works as a social content curator to the gem and jewelry Industry. A self-proclaimed "Serial Blogger," Robyn writes a dozen blogs with the goal of educating the public, promoting emerging designers to jewelry stores, and sharing her love of colored gems and minerals. Always reporting from her unique viewpoint as a metalsmith, gem cutter, and student of gemology and mineralogy, Robyn writes Xpo Press’s blog, EZ-Guide to Gem and Mineral Shows. Some of her other blogs include The Daily Jewel, Tucson Gem Show Live, AFlyOnTheWall Views & Reviews, Celebrity Jewel, Historic Gems & Jewelry !